Two regulation trap fields were prepared to meet all specifications of the Amateur Trap Association and the NRA. The fields are located in the back of the clubhouse. These ranges are equipped with automatic trap machines, concrete shooting pads marked for 16 to 27 yard handicap shooting, and a registration pavilion. Single, double-trap, wobble-trap, backup and handicap matches are heldon Saturday and Sunday mornings . League shooting is held during the week, at night. 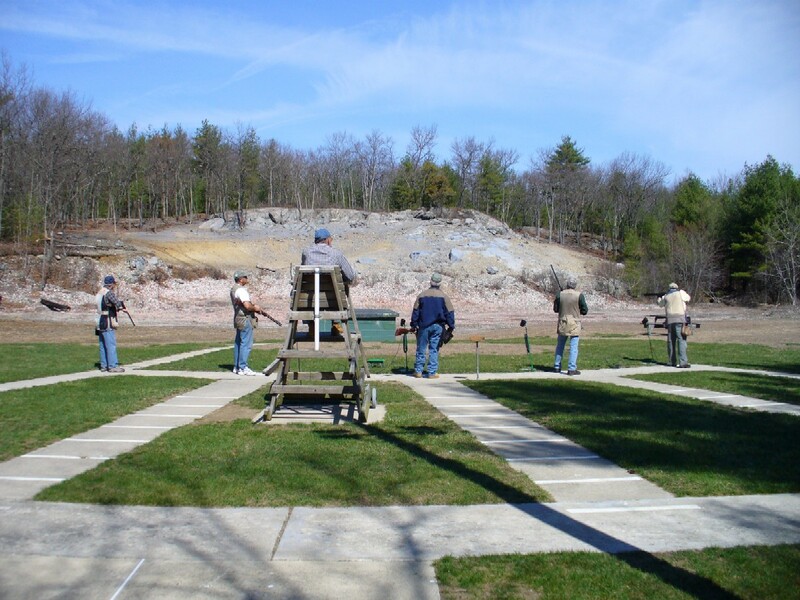 WSA fields several Trap Teams in the Greater Lowell Trap League each season. All shooters participate with shooting classes and handicaps to keep the playing field even. The league is open for WSA members to participate. The trap field is equipped with lights for night shooting. The range is open for practice on Saturdays and Sundays from 10:00 AM to approximately 1:00 PM. The cost is $2.50 per round (25 shots) for members and $3.50 for guests. Ammo and a club gun are available if needed. All members and their guests are welcome to participate per handbook rules. Manual target throwers may be used when the Trap Range is unmanned. Position the thrower between the two trap houses in front of the picnic table and shoot (TARGET LOADS ONLY!!) towards the hill. Please do not shoot from the infield area of the trap fields. Receptacles are provided for empty hulls and other debris. Please keep the field clean. Shooters are responsible for making sure no empty hulls are left on the ground. If you decide to “let them fly” please pick them up after your round and deposit them in the trash. This is important for the safety of the people maintaining the fields. During this time, the trap field is staffed and available for general use.